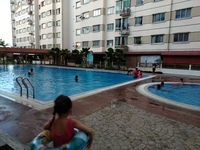 Vista Impiana is a leasehold apartment located at Jalan Bukit Serdang 10/2, Taman Bukit Serdang, 43300 Seri Kembangan, Selangor, Malaysia. The units are housed within 2 blocks of 21 stories each. The built up size is approx. 950 sqft per unit. Facilities provided are a gymnasium, swimming pool, tennis court, badminton court, sauna, mini market, playground, car park and 24 hours security. 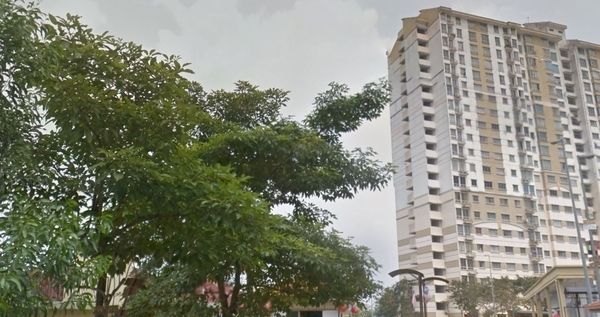 There are a few schools in the area such as SK Bukit Jalil, Sek Sukan Bukit Jalil, SMK Bukit Jalil and SJKC Serdang Baru 1 that are a short drive away. There are several amenities in the area such as petrol stations, a surau, coffee shops, hawker centres as well as The Mines Shopping Mall and The Mines Resort & Golf Club. These amenities are situated along Utara-Selatan Highway and Sungai Besi Highway and are about a 15 to 20 minute drive from the apartment. Vista Impiana is also adjacent to another highway; Kuala Lumpur-Putrajaya Highway, making it even more convenient for residents to travel to work in the city centre or other locations.